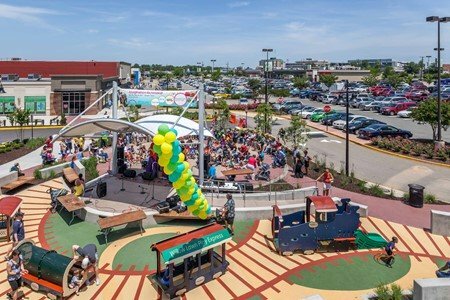 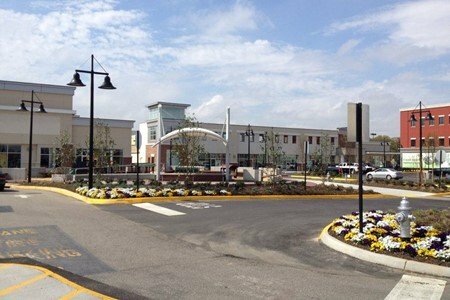 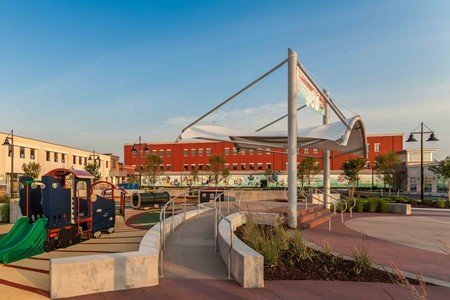 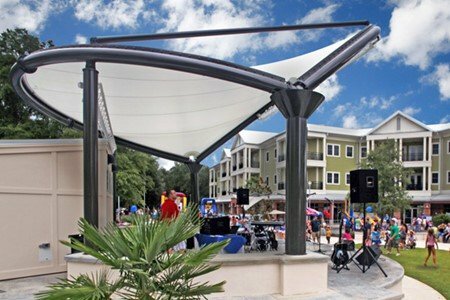 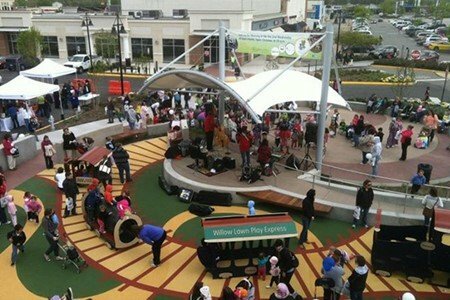 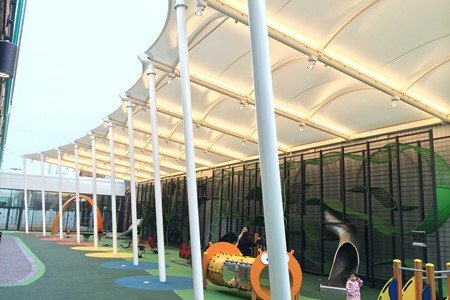 With retail spending decreasing, Federal Realty Investment Trust developed a plan to attract shoppers and families and improve their experience, by giving them an open air plaza for free public events and activities. 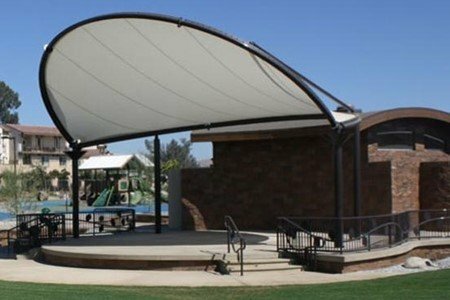 Taking center stage is a multi-purpose performance area which features a fabric structure designed for entertainment and to draw a crowd. 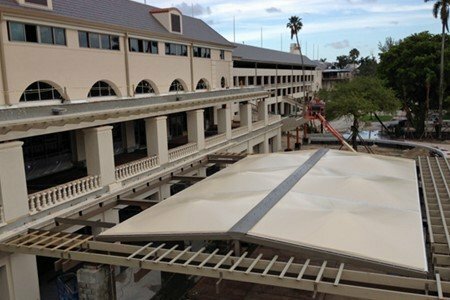 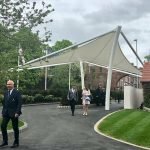 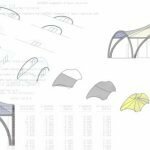 Our Design & Build team modified the standard Iron Mountain creating a customised 20’ x 20’ tensile structure which cantilevered out over the stage area offering a focal point for the new open air plaza. 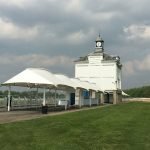 This free-standing structure, mounted on only 2 columns and with external base plates, was quick and easy to install. 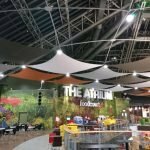 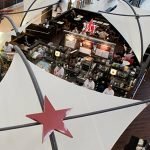 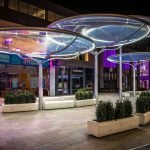 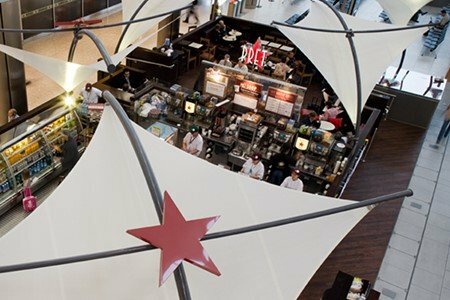 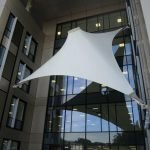 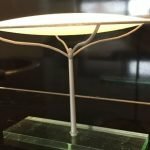 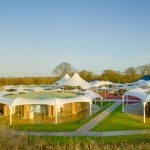 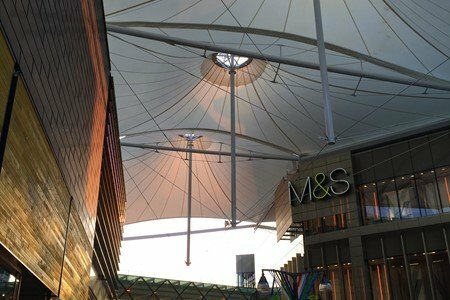 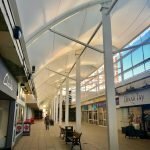 The fabric, steel and cable design contrasts nicely with the surrounding buildings and continues to attract more and more shoppers to the location.